Very nice shop. The salted egg and chicken looks realistic. How do you make the metal rod to hang the 燒臘? Did you use CD box cover to make the glass for the stall? 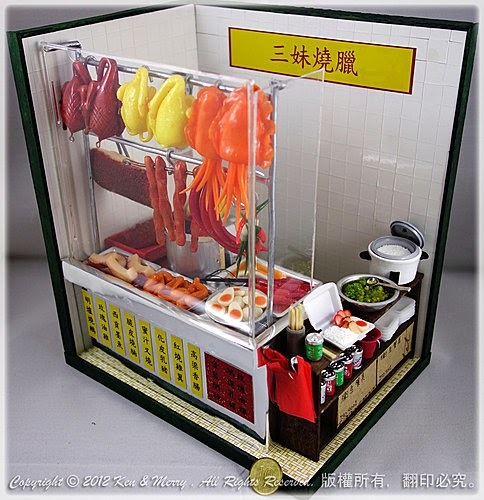 Thank you for sharing, I would like to make a 燒臘stall too, but I don't know how to use clay, I have the mimo 燒臘 miniature.